For Office Use Only designed a site to showcase this Shanghai-based furniture retailer’s product lines. For Shanghai-based furniture retailer Stellar Works, which caters to high-end hotels, restaurants and retail outlets, New York–based design firm For Office Use Only created a site that puts Stellar Works’ artistically-produced product imagery in a well-placed space for an optimal experience. 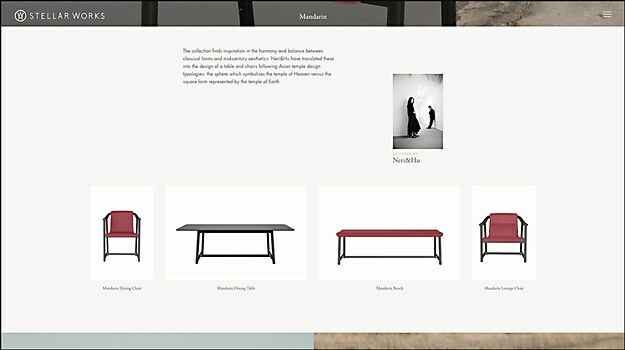 The Homepage and Story pages focus on a narrative about the company’s roots, ethos and design philosophy, while the Collections and Products pages present visually clear presentations of the furniture—including views of the furniture in the context of living spaces and precise details of each product’s design features. 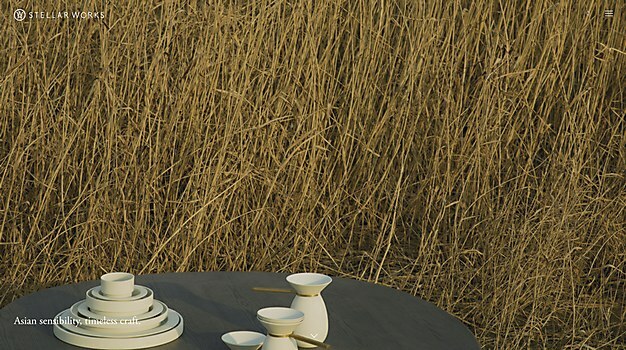 Launched in time for the ICFF furniture fair in New York, the site will have e-commerce capabilities in the future; since its launch, the site has welcomed more than 17,000 visitors and almost 250,000 views, generating US interest in the Shanghai furniture brand. 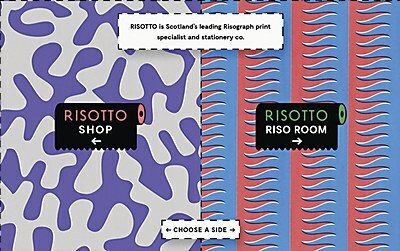 With Brendan Bennett, this Scotland-based print studio created a site that reflects the tactile nature of risographs. 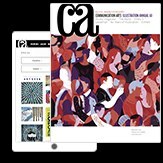 This London-based design firm’s site builds upon the dichotomy of case studies and human elements. Created in collaboration with Visionnaire, this production company’s site faithfully represents its refinement and sensibility.